To arrange a routine appointment call us on 0191 2822890 or call into the surgery. If more than one person in the family needs to be seen a separate appointment is needed for each person. Appointments are 10 minutes. We can give you a longer appointment if necessary. Tell us if you want someone to accompany you during an examination or a private room to discuss any matters. Your GP or nurse may offer you a chaperone for certain examinations. This is also something you can request. 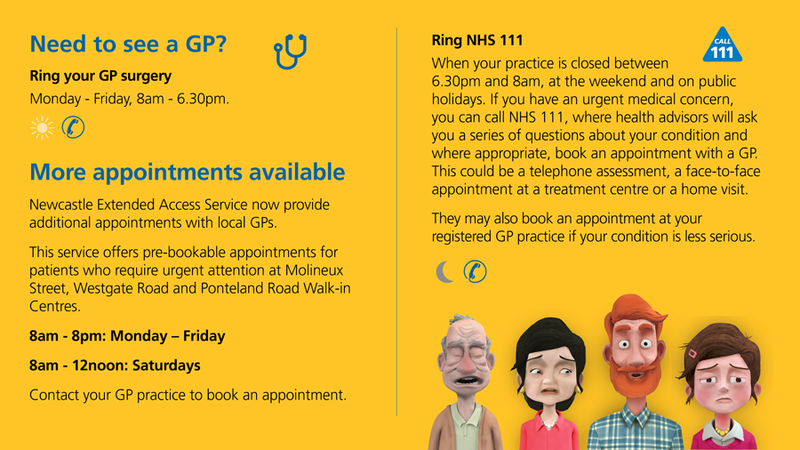 Need to see a GP when we're fully booked? Newcastle Extended Access Service now provide additional appointments for patients who require urgent attention. 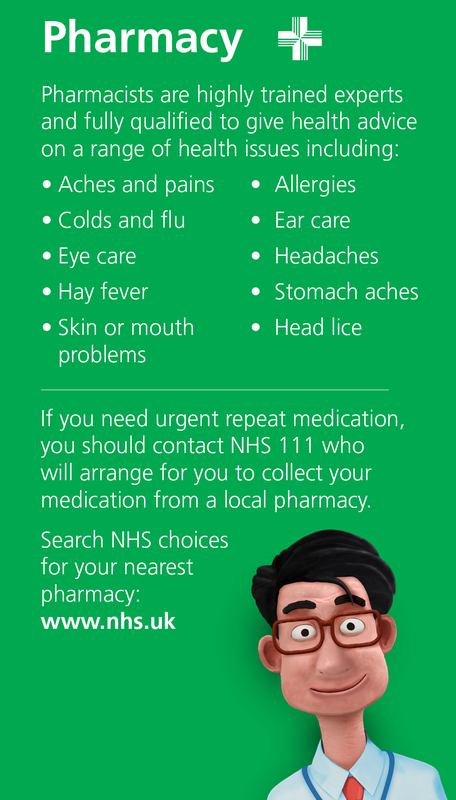 Contact us on 0191 2822890 and we can book an appointment for you at Molineux Street, Westgate Road and Ponteland Walk-in Centres. 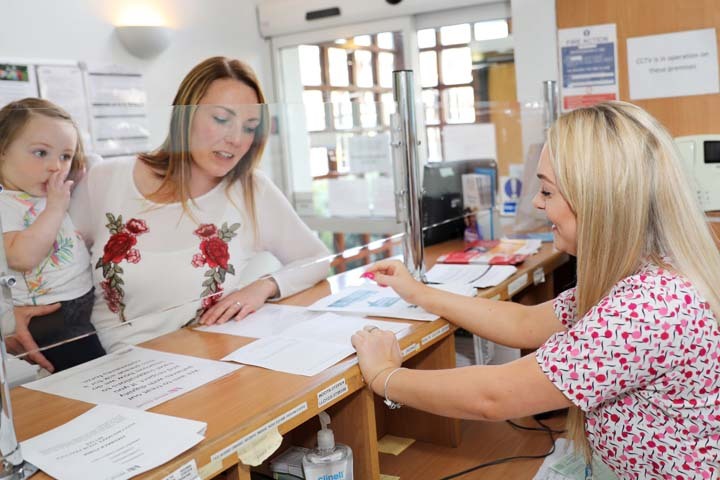 Any registered patient with an urgent medical problem who feels they require an appointment on the same day needs to contact the surgery as early as possible by calling our main switchboard number on 0191 2822890. Our practice nurse manager will triage all requests for emergency appointments. If the Triage nurse is available, your call will be immediately transferred. If she is on another call the receptionist will take full details of the emergency appointment request and you can expect our Triage nurse to return your call within 45 minutes. Please do not abuse this facility as it could cause delay for genuinely urgent cases. Language Empire can provide male & female interpreters in a range of languages to help you in your appointment. Simply ask for an interpreter when booking your appointment. You are encouraged to use this facility. There is no charge to the patient. Our surgery is on two floors. Unfortunately, there is no lift available within the building. This will not affect the services we offer or your ability to the GP of your choice. Please let reception know if you need to be seen on the ground floor when making your appointment. If you have any other requirements to make your visit to the surgery easier, please let a member of our team know. A doctor can deal with approximately four patients in the practice in the time it takes to do a single home visit. For this reason, we ask our patients to come to the surgery if at all possible. However, we can visit you at home if your medical condition makes this necessary. Please make requests for non-urgent home visits before 10am by calling our main switchboard number on 0191 2822890. (Later requests may be scheduled for the following day).